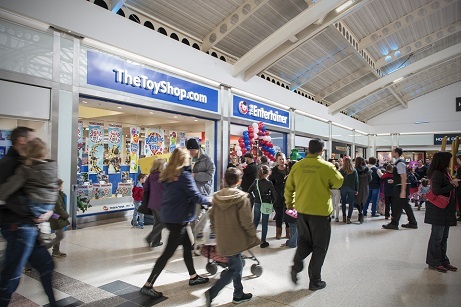 The Entertainer is the fastest-growing, family-owned high street toy retailer in the UK and National Autistic Society (NAS) is the UK’s leading charity for autistic people and their families. Theses two are partnering up to support World Autism Awareness Week which takes place 1st-7th April. During the week, The Entertainer’s Quiet Hour will run each morning for the first hour of opening in all 163 of its stores across the UK. The music will be switched off and noisy product demonstrations removed to help create a calming and less daunting environment for children with autism. A new sensory table will also be introduced to stores featuring a variety of Ready Steady Dough lines for children to play, build and create during Quiet Hour. Also, on Saturday 6th April, The Entertainer will be hosting The Big Create; a fun and engaging colouring-in and dough creating session taking place in all stores between 12-4pm. Families will be being encouraged to share their creations on social media using #TheBigCreate. 10% of all profits of Ready Steady Dough lines, sold both instore and online during World Autism Awareness Week, will be donated to the NAS. “We are delighted that The Entertainer is putting the needs of their autistic customers first by hosting quiet hours in all 163 of their stores during World Autism Awareness Week and working towards achieving our Autism Friendly Award. There are approximately 700,000 autistic adults and children in the UK. But many can end up isolated and unable to leave the house due to being overloaded with bright lights and loud noises when they go out. We need more companies to follow The Entertainer’s fantastic example and make their businesses welcoming to autistic people and their families. For more information about The Entertainer, please visit www.TheToyShop.com.